Situated on barren moorland to the south-east of Ingleborough’s summit mass, the Allotment is one of the least visited of the mountain’s locations, seemingly containing little, at first glance – to turn the walker aside. 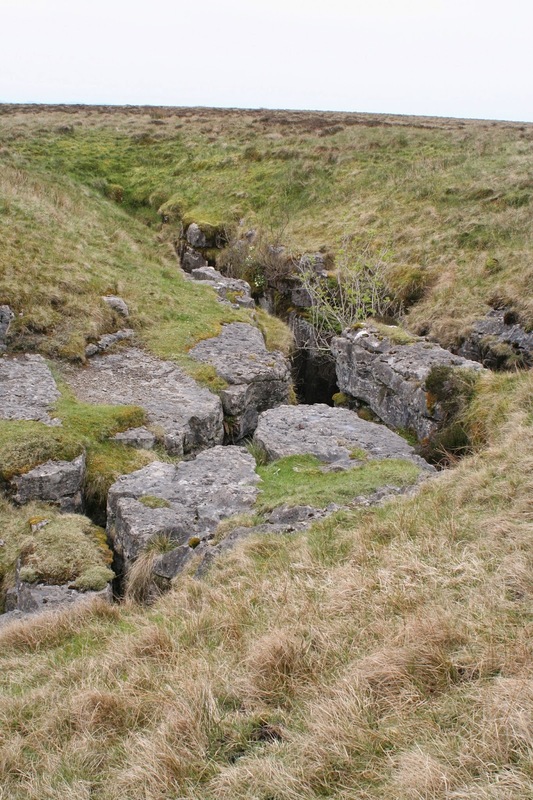 Nothing could be further from the truth to the lover of limestone, as the combination of many small faults, with streams meeting the limestone at the Yoredale boundary – means there are many deep and spectacular pothole shafts. 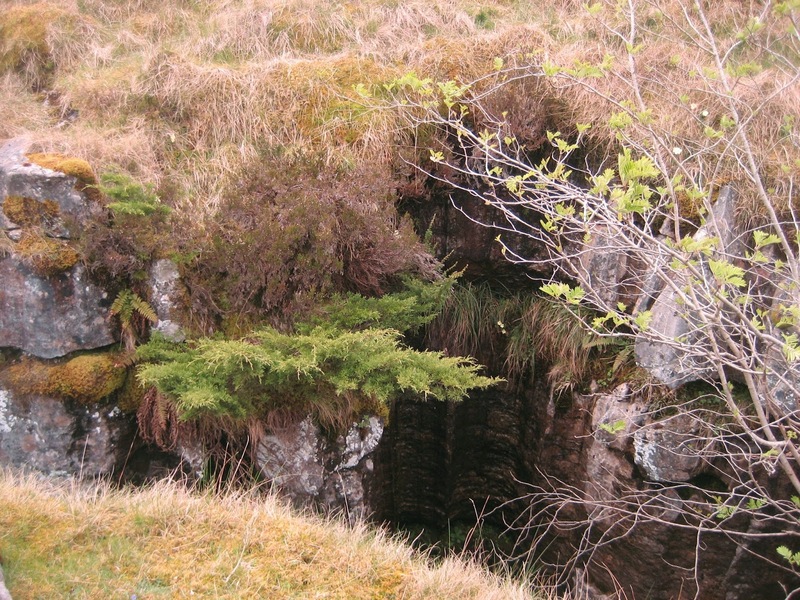 The most famous is Juniper Gulf, (SD765733) where a large stream drops though a long rift and eventually falls, in several stages, to a depth of 128 metres (384 feet). 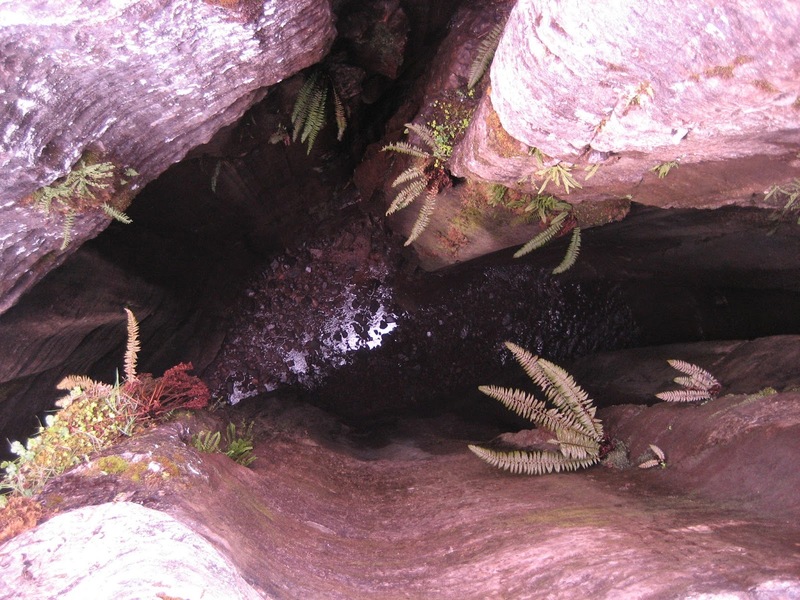 Well-developed shale beds deflect the stream along in a stepped profile, until it finally crashes to the floor of a 60 metre shaft with a roof soaring over 90 metres (270 feet) above. 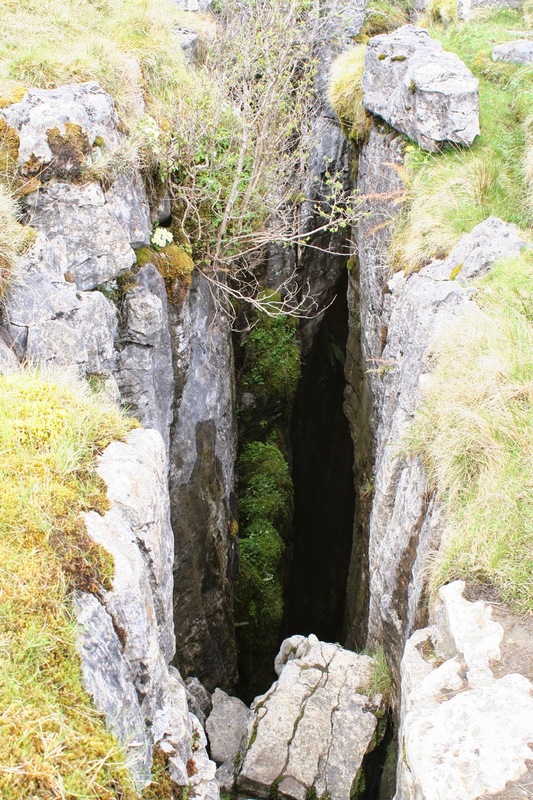 For much of the journey, the caver must traverse above the stream on narrow ledges, where water has eaten out the shale beds below – and eventually the huge black void of the final shaft is encountered; a beautiful feature with its polished and banded walls of clean washed limestone. 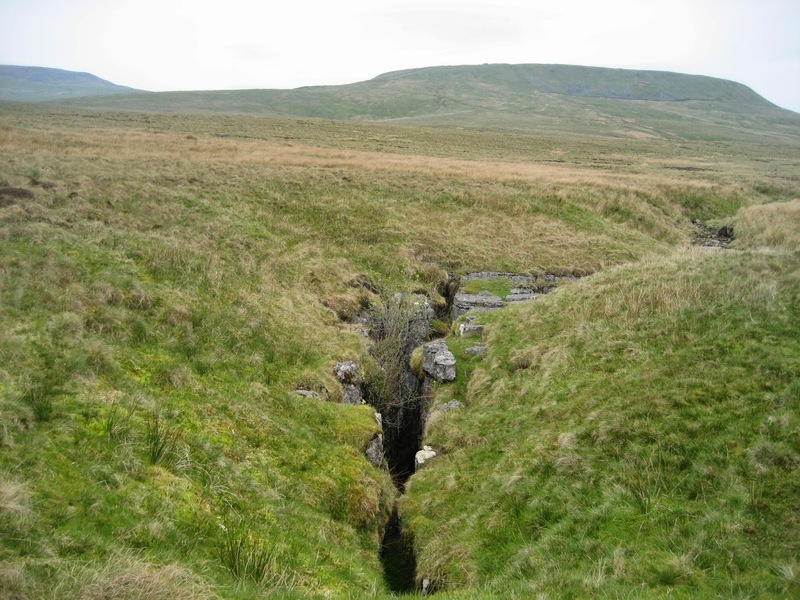 This is without doubt one of the most spectacular highlights of the Ingleborough karst, if only available to well-equipped and experienced cavers. Ordinary mortals can content themselves with locating the entrance shaft which is 18 metres (54 feet) deep and leads to a floor of cobbles, the drama within being largely unsuspected by the onlooker. The rift is so narrow that is it is possible, in parts, to stride across it with great care. 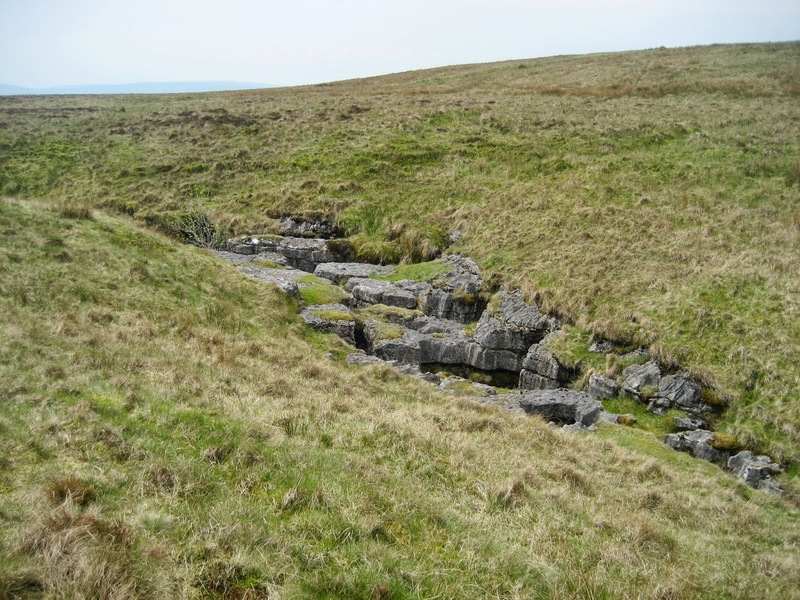 As with the other potholes on the Allotment, the water emerges in Crummackdale at Austwick Beck Head (SD776718). The sump (totally flooded passage) at the bottom of Juniper Gulf actually reaches depths below this resurgence, although the water level itself is 10 metres higher!